Pepperdine University president and chief executive officer Andrew K. Benton has announced his intent to conclude his presidency at the end of the 2018–2019 academic year. In a prepared statement to the University community, Benton said he and his wife have decided it is a good time for a change and that he has asked the Board of Regents to begin the process for selecting a new president. As he anticipates his final year of service as president, Benton plans to stay focused on the strategic priorities he believes will add value to the student experience and Pepperdine’s reputation among elite universities. These initiatives include the completion of the new Seaside Residence Hall and School of Law renovation, plans for a revitalized Washington, DC program and facility, and securing funds for a new student recreation and events center. Benton has committed to serving as president until his successor is found and will continue to serve the University as President Emeritus following the conclusion of his presidency. At the end of his presidential tenure, Benton will be the longest serving president in Pepperdine’s 80-year history. Benton was announced as the seventh president of Pepperdine University on December 7, 1999, and inaugurated in September 2000. During his administration, he led Pepperdine to prominence among the nation’s top universities, overseeing key initiatives including construction of the Drescher Graduate Campus and identifying headquarters for the Pepperdine Graziadio Business School and Graduate School of Education and Psychology at a new campus in West Los Angeles. Progress during his tenure is also marked by the opening of new campuses in Lausanne, Shanghai, and Washington, DC; the launch of Waves of Innovation; the dedication of the Keck Science Center, Mullin Town Square, and the Runnels Sports and Recreation Village; and the endowment and creation of more than a dozen centers and institutes across the institution. History will remember the Benton years as a period of exceptional growth at Pepperdine. Total University assets have increased by more than $1 billion during the Benton administration, and undergraduate applications at Seaver College have doubled, with more than 12,000 prospective students applying for admission for fall 2018. The University also made prolific advances in online education, strengthened by strategic partnerships with leading education technology companies like 2U, and last year the campus community celebrated the reopening of a fully modernized Payson Library following an expansive renovation that transformed the space into a library for the information age. Benton has also presided over an innovative partnership with the world’s leading sports and live entertainment company Anschutz Entertainment Group (AEG). Launched in 2017, the agreement names Pepperdine as the exclusive education partner of STAPLES Center, L.A. LIVE, and the LA Kings while working with AEG to create a world-class sports and entertainment management educational program. Applying a distinctive portfolio of shared attributes in business and education, the initiative has led to a series of cutting-edge academic offerings, including the debut of a state-of-the-art Pepperdine classroom in STAPLES Center. Among Benton’s signature achievements as president is the successful completion of the Campaign for Pepperdine, raising $470.8 million from more than 49,000 donors. Persevering through the economic challenges of the Recession of 2008 and highlighted by the University’s 75th anniversary in 2012, the campaign created more than 200 scholarships and a host of other academic and student-serving assets for the University. Benton’s term has also celebrated national championships in men’s volleyball, men’s tennis, women’s sand volleyball, and numerous conference victories in multiple sports. Often called “the students’ president,” Benton regularly teaches courses within the University and is deeply involved in the lives of students. 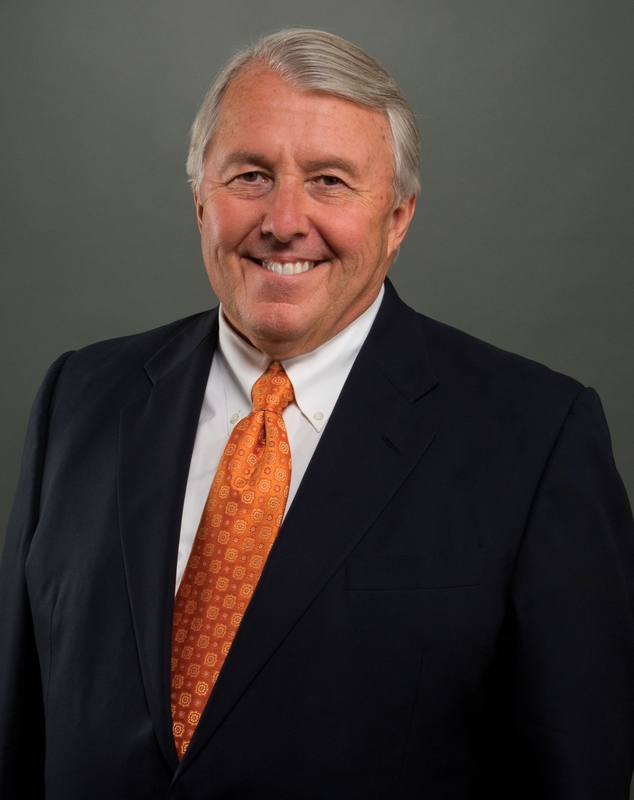 Benton joined Pepperdine’s central administration team in 1984, serving in executive leadership roles including assistant vice president, vice president for administration, vice president for university affairs, and executive vice president. During those years, he played a key role in managing the University’s relations with the State of California, County of Los Angeles, and the City of Malibu. He also shepherded the approval of Pepperdine’s Long Range Development Plan and the development of the Drescher Graduate Campus. A highly respected voice in higher education, Benton is among an elite group of university presidents who have been elected to lead our nation’s largest advocacy organizations for higher education. He is currently the chair of the National Association of Independent Colleges and Universities (NAICU) and former chair of the American Council on Education (ACE), both of which are based in Washington, DC. He is also past chair of the Association of Independent California Colleges and Universities and is an active member of organizations including the President’s Cabinet of the West Coast Conference and the Association of Presidents of Independent Colleges and Universities.